Poetry volumes rarely go into multiple editions, certainly not as much novels and autobiographies. Yesterday, I mentioned 20 editions of Frederick Douglass's Narrative that I own and before that I've mentioned my Richard Wright editions, but I do not have a parallel for poetry volumes in my collection. 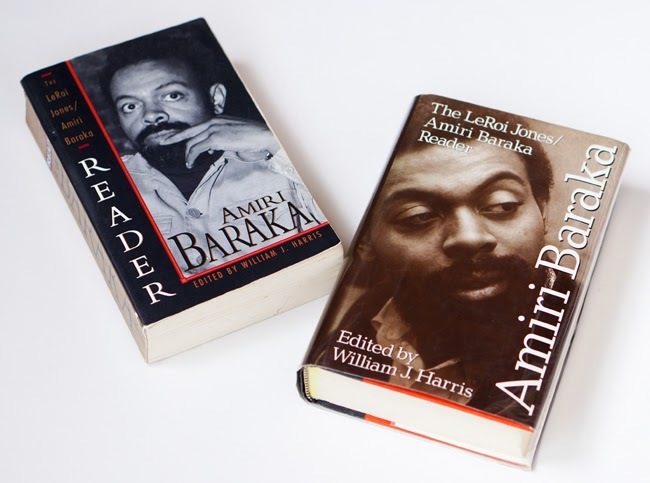 For now, I own two versions of The LeRoi Jones/Amiri Baraka Reader. I purchased the 1999 paperback edition about 14 years ago while taking a graduate course with William J. Harris, who edited the Reader. A few months ago, I purchased the hardcover version in New York City. I also own two versions of Baraka's book of low coup. Baraka self-published one version. Ishmael Reed published another version of the small collection. 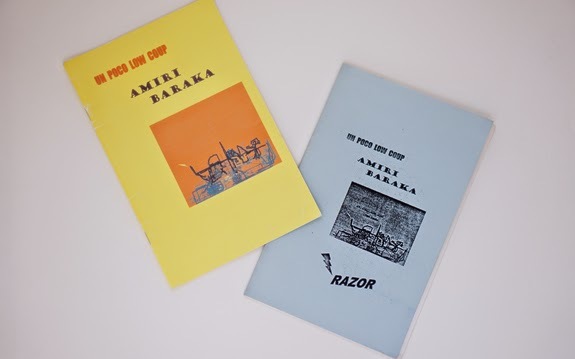 Overall, Baraka produced a large number of books over the course of several decades. There may not be 20 versions of a single one of his books, but just catching up with all the books he published will be a challenge and adventure.